Monochrome postcard, from the Basil Hellier collection, showing the H.R. 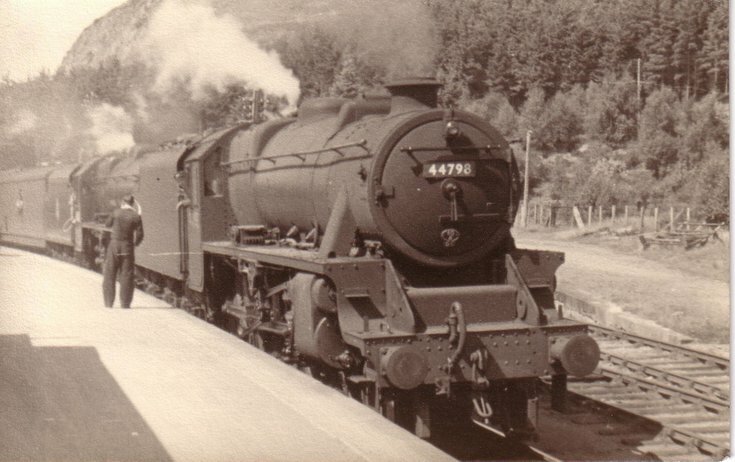 locomotive 44798 on the main line, at The Mound station. The reverse has an inscription, which reads "The Mound 23rd July '52".